I would usually carry the bag for an 18 hole round. The design of the bag is great, i really like how it looks especially with my TS woods. The pockets are great, although the taylormade FlexTech bag (which i also have and used for around 1 year) has more and bigger pockets. But , i still manage to fit all of belongings in the titleist bag (Rain coat, pants, hat and gloves, 1.5 litre bottle of water, multiple glove packages, wrench tools, scorecard holders, rules book, coins and plasters. 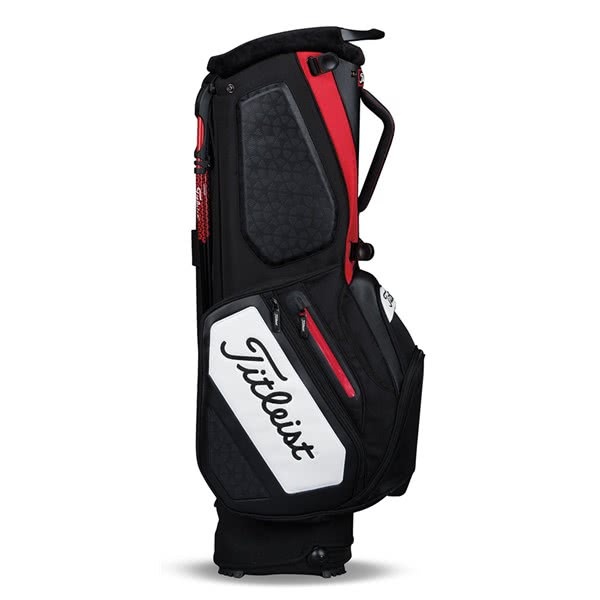 I actually find that i prefer the pockets in the titleist bag as they are not as big and it allows me to sort things out in my bag better, making it for easier accessibility. The magnetic pocket at the front is large and secure and definitely wont open by accident. The legs of the bag are very sturdy and of good quality. However, the only thing i didn't enjoy about the bag was the way the straps are made. The two straps intersect together in this system which allows each side to change in length compared to the other. This is a annoying as when you walk, you would find that 1 side (the heavier) would drop down lower than the lighter one causing unbalance and discomfort as the part with the club heads would rise higher up, nearly turning the bag vertically. I found that changing the lengths of the straps helps control the amount by which the length would vary but i couldn't manage to find a method to stop them from changing lengths. Needed a new bag, this is pure quality! Was looking for an upgrade, this is it. Quality bag, no issues with delivery and arrive exactly when stated. Bag looks great and is pure quality. Good bag overall, I like a lot of pockets which this bag has. I must have a separate pocket for balls, tees, drink, gloves, and bits & pieces and a large clothes pocket. The only small issue is the pocket for tees is a little small. Overall a very good bag. Having recently taken golf up again, it was time to invest in a new bag and this model from Titleist is fantastic. Not too heavy for the "walker" to carry around the course and great balance once the straps have been adjusted to suit. Plenty of storage within the pockets provided albeit could possible do with even just 1 extra compartment. Thoroughly impressive build quality but not unexpected given my experience of Titleist equipment in general. 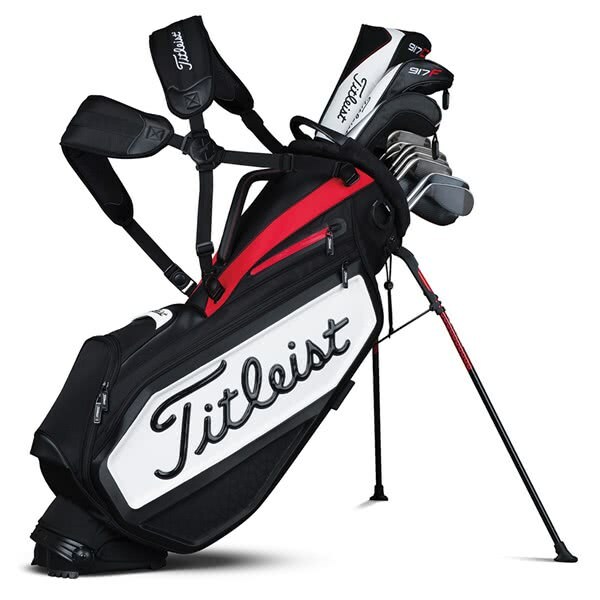 A typically high quality Titleist bag benefiting from plenty of storage space, comfortable straps and neat stand mechanism. This has all you need and isn’t too heavy either. I would prefer more than 3 dividers but this is a minor issue and all my clubs have been accessible with the design. A very good quality golf bag, highly recommended. brilliant company for my tour bag. perfect for travelling and plenty of pockets for your items. in addition to this bag, Titleist & Golf online were able to personalise this bag for me for a small fee. quirky for me with my mates. i can look the part & have a laugh. brilliant. Top quality bag, suits my eye. For me, this bag was exactly what I wanted. The storage space was a concern, but once you get it, it has ample space. 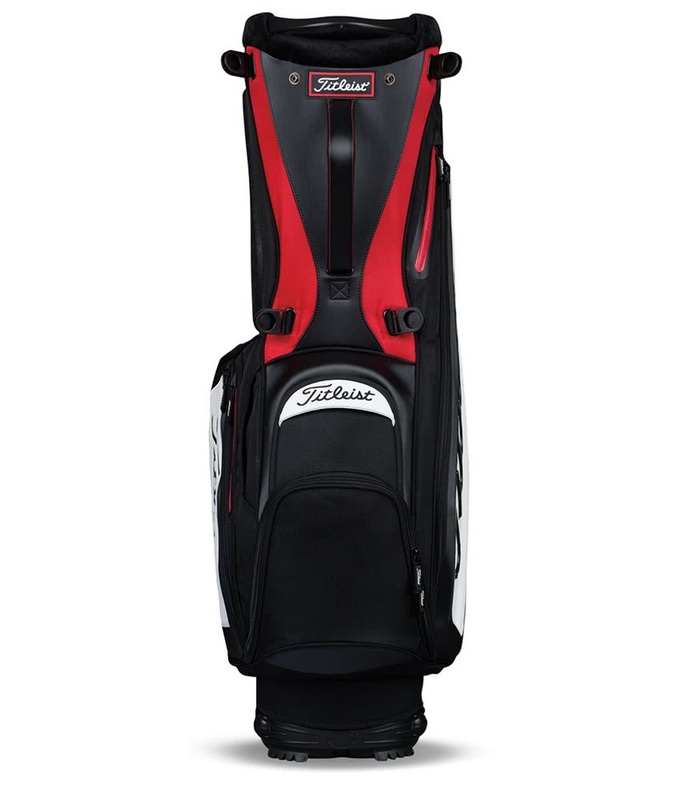 The bag looks exceptional, high quality finish, this bag looks like the tour bag, just more compact and a lot lighter to carry (I know from experience). 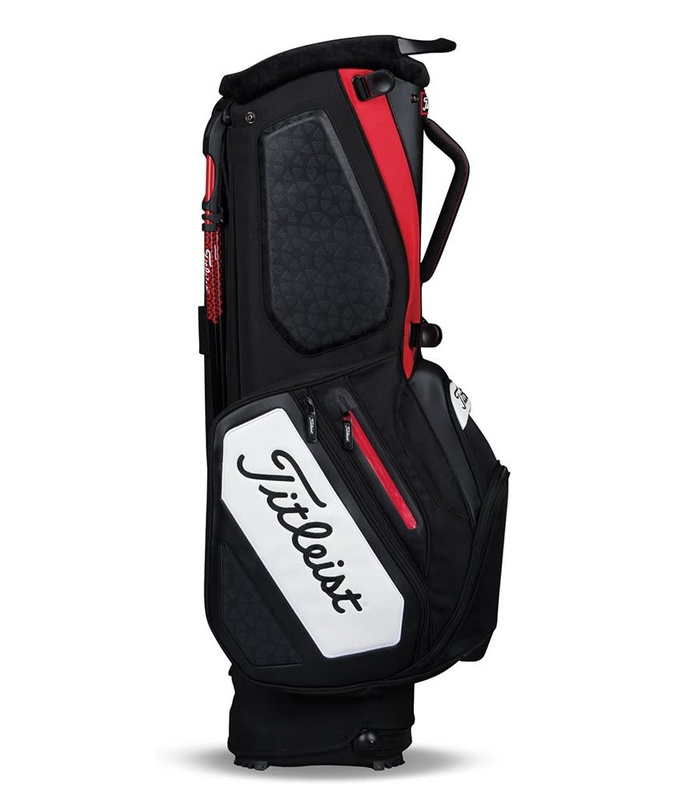 Would highly recommend this bag, but as a Titleist enthusiast, this bag was exactly what I was looking for. I'd recommend it as a trolley bag instead of a carry for regular use, but carrying from time to time would be useful if no trolleys available. I have been using this for about 4 weeks now and have now got to know the bag pretty well. Good points: Build quality is good and dividers offer good space Lots of good pockets, sized and well located. Looks good Straps are comfortable. Points for improvement: Straps need setting up correctly and accurately to get best comfort. Straps occasionally slip and secondary lock would be a good improvement. A little bit heavier than other bags, but a compromise for the build quality and durability (hopefully). Very spacious, well functioning and awesome looking bag. 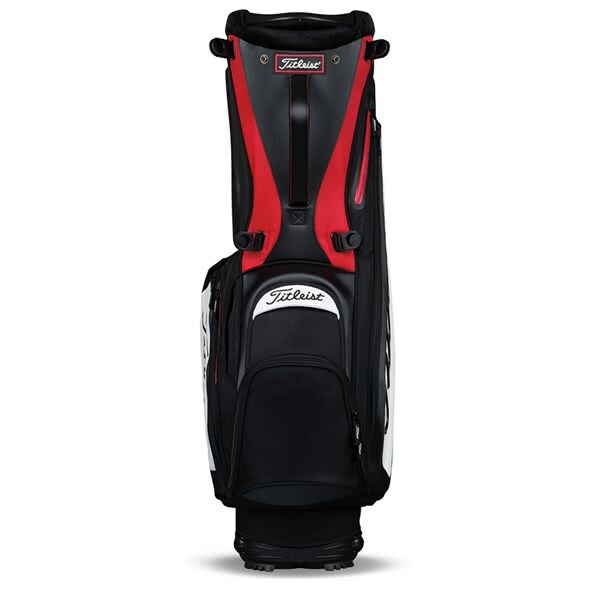 If you are a Titleist fan and want a carry bag, this is the bag for you. The Titleist Staff Stand Bag is for the golfer who takes their game seriously and wants a bag that will both perform and look great. 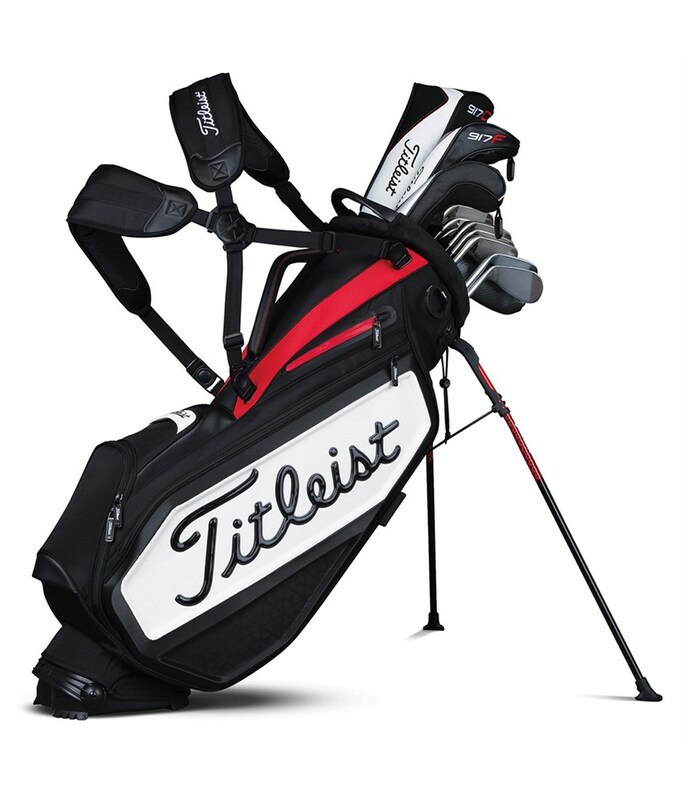 Titleist have used a lightweight, durable construction with a distinctive Titleist styling. The high-density dual strap system will provide excellent carrying comfort as well as provide the perfect balance when loaded. 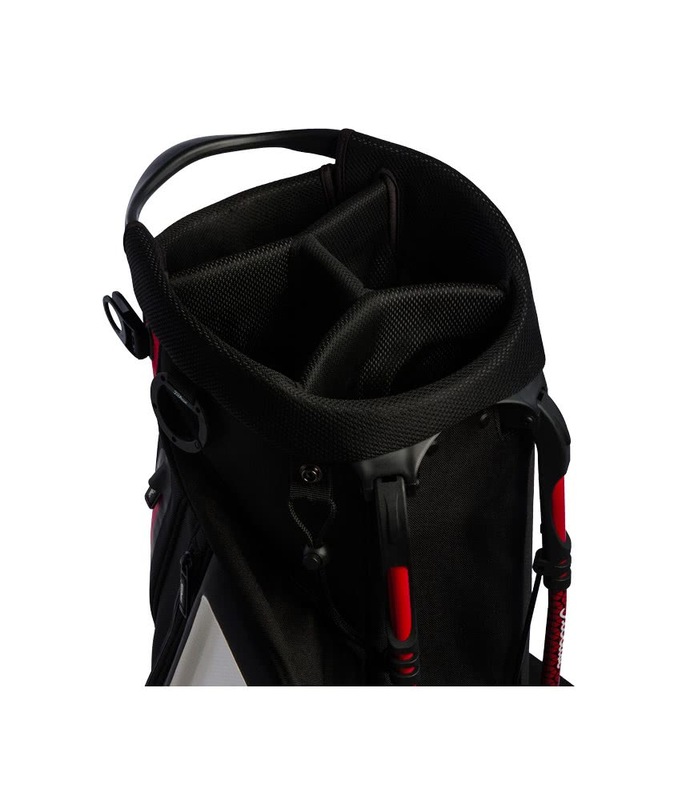 Should you wish to carry the bag, a single strap system will quickly adjust look without sacrificing performance. 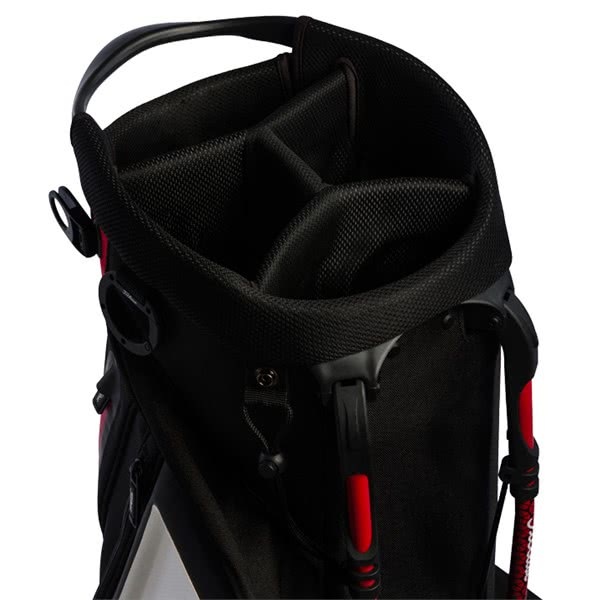 A total of seven pockets have been used in the design of the Titleist Staff Stand Bag and all these pockets are easily accessible whilst on the go. The pockets include a StaDry waterproof valuables pocket and a tour-inspired magnetic accessory pocket. To increase performance a full contact hinged base unit has been used to provide extra stability whilst the stand mechanism is activated.